Whether it's heating a home in the winter or cooling it in the summer, air leaks can make your house less comfortable and less energy-efficient. The easiest leaks to locate are those around windows and doors. Homeowners can feel the drafts when standing next to these areas. Often air leaks are due to spaces around the window frame, joints of a window or door frames. Gaps under exterior doors are another common cause of drafts. There are usually air leaks around window air conditioners and wall air conditioners as well. 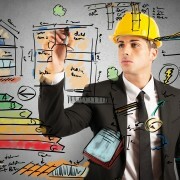 The basement and attic of a home offer many places for air leaks due to the structure of these rooms. Basements and attics can have windows, not to mention furnaces or water heaters whose connection to the outdoors causes air leaks. The simplest way to find these leaks is to place your hands around these areas to feel for a draft. If installing energy efficient windows or new doors isn't in your budget, one inexpensive method for sealing leaks is caulking. 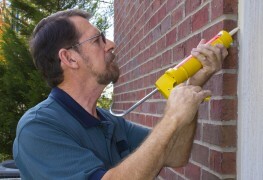 Caulk is a filler material used to close small gaps or cracks around the house. Caulking comes in a few varieties including silicone, polyurethane and acrylic latex. Each has its uses depending on a number of factors. For example, silicone is costly, but performs better in areas with temperature extremes such as attics or on nonporous surfaces. Acrylic is cheap and less messy than silicone. Weatherstripping is another way to seal air leaks. This method is often best for larger gaps or holes. There are a few different weatherstripping options, which vary based on your skill level. For example, bronze or aluminium, copper or stainless steel weatherstripping should be done only by experienced D.I.Y.-ers. Although metal weatherstripping lasts for a few decades, it's also expensive and time consuming. The easiest method of weatherstripping is to use self-stick plastic or vinyl, but these materials won't last long. A third option is to use adhesive EPDM rubber, an inexpensive alternative that lasts up to a decade and is useful in many areas such as windows, tops and sides of doors and attic hatches. For doors, the fastest way to keep out air is to install a new door sweep at the bottom of all interior doors. For D.I.Y.-ers with carpentry skills, you can seal large gaps around the windows and doors by installing new frames. For basements and attics, polyurethane spray foam is a good choice for large gaps often found around vents or plumbing pipes. In some cases, foam weatherstripping is also effective for windows and doors. For example, movable foam is used on interior door jams to seal out air. Almost any area of your house can be a source of air leaks, but for do-it-yourselfers, there are air leaks you can easily find and repair yourself. 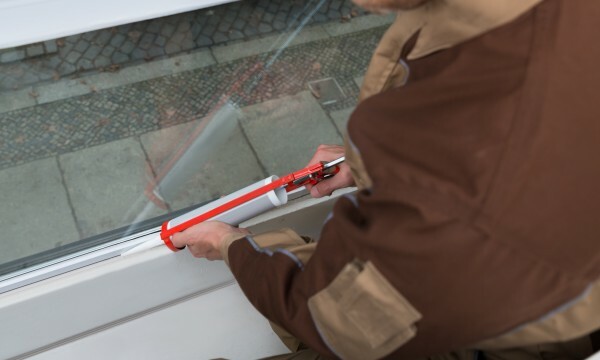 With the wide range of sealants available, you should be able to seal air leaks in your home by finding the methods that suit your budget and skill level.